If you are a small business owner, chances are you have been told time and time again how important social media is for your business. Putting your brand in front of a large (and easily accessible) audience is very attractive to businesses. But how do you go about picking the right social platform? And how do you get started publishing content and growing a following? Well, here are a few tips to get you started. Know your audience, who are you talking to? Social media, like any marketing tool, should be based around some basic marketing principles. Who is interested in your services and/or products? Who is your target audience? The answer to this question should form the backbone to your overall marketing strategy. Only by knowing who we are talking to will we know how we should be communicating. Knowing who your audience is will help us shape your overall marketing strategy. Once you know how we are going to communicate (think: tone of voice, brand personality, brand image) then you can get started with creating some great content and deliver via the social network of choice. Choose your social media platforms carefully – and master them! 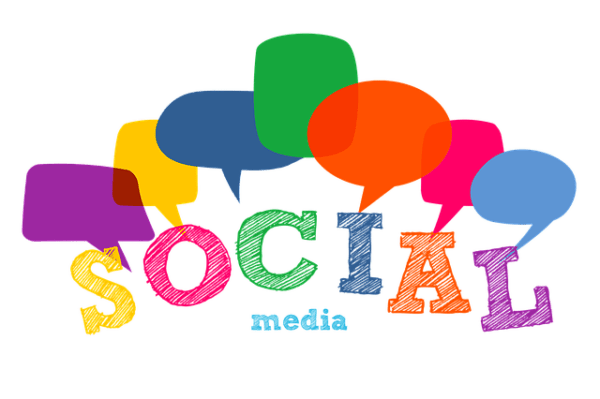 Once you know who you are talking to and how you are going to are communicate, you can decide which social media platforms is best for your business. Different social media networks attract different followings, so you’ll want to choose the network that best fits with your target audience. For example, Snapchat is known for being more popular with younger users, LinkedIn is notorious for being a professional platform, while Facebook provides a pretty strong even footing across the board, and then there is the explosive growth of popular photo-sharing social media platform Instagram. So, choose a platform based on where your target audience is active and then decide which ones to focus on – and master them. Do not stretch yourself too thin across too many networks. Once you have chosen your platform you can focus on what type of content you’re going to publish. Your content should be a balance between what capabilities you have as a small business and what content your audience is wanting to see, engage with and share. Facebook insights and Twitter analytics for example, can give you a clear overview of how well each of your posts perform in terms of reach (how many people saw your post) and engagement (how many people clicked, shared, commented or liked that post). As your following grows you can then get insights into the interests and hobbies of your audience. You may then wish to produce content based around your customer’s interests. Responding to interactions is important, social media is a two-way conversation. Engage with real conversations with your fans and you will start to build a community around your brand. By interacting and engaging with your brand community you can start to build a loyal following of brand advocates. If you’re struggling to engage with new followers on Twitter then why not check out your local #TwitterHour? This is a space for business owners in to promote their business and see what others have to offer. If there is one thing that will turn customers away from your business it is the hard sell. Social media is not a sales platform. Use social media to build your brand image. Through social media you can create a brand personality that resonates with your audience. Set yourself apart from your competition by communicating in a distinctive tone of voice that echoes your niche in the market. As a small business owner, you probably don’t have the time to be active on social media all day. Fortunately, there are tools to help you. Social media management tools such as Planoly, Hootsuite, Sprout Social and Bit.ly allow you to schedule your posts and track any URLS you’re using within the posts. They also allow you to view multiple social media networks at once, so you’ll be able to get a broad overview of your weekly, monthly or daily activity on one dashboard. Better yet, these programs have free versions available which you can take advantage of straight away. By scheduling your content in advance and having one dashboard to see all your social media activity, you can ensure that social media doesn’t become a drain on your most precious resource, time. Finally, make sure you don’t give up. Persistence is key. It may feel like a lot to take in at first but, over time, it will help you meet your business goals. Ensuring a continual approach to publication will allow you to increase your visibility and reach. More interactions and engagements with your content may result in increased sales leads. A consistently conveyed personality will build a distinctive brand image, allowing your brand to find its voice within your market. Good luck! Don’t forget to like us on Facebook, follow us on Twitter and Instragram, and connect with us on Linkedin. We offer a number of distinct products and services which can be deployed individually or combined to form a broader solution. We provide solutions that are tailor-made to your needs with a view to releasing your energies to focus on your clients. We work both with you to offer a complete solution, with a range of cost effective, compliance and marketing solutions including Social Media Engagement, which are uniquely suited to supporting firms. Explore our full range today.